Once only available as an option, this feature is now a standard feature on most 700 and 500 Series spas. A true laminar stream of water rises above the water’s surface providing a soothing visual and sound effect. Diverter valves and air controls are illuminated for better ease of use in dimly lit areas. A comforting dip in a hot tub accompanied by a glass of your favorite beverage is the perfect way to unwind after a busy day. Now with Vita Spa’s lighted glass holders, you will never forget where you set your drink. Sometimes it’s the little things like this Vita exclusive which uses Sen modules in the spa design to massage and stimulate feet and hands. Experience the amazing feeling of SenFlo™ Therapy. 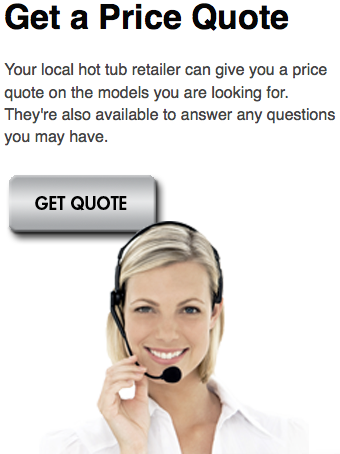 Why go out in the cold to check your hot tub when you can do it from the comfort of your home or even your office. 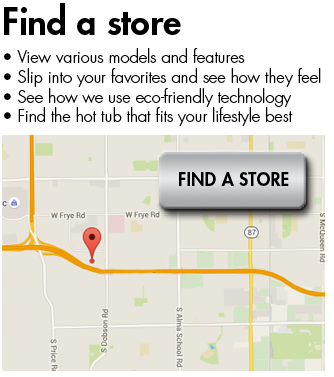 With the Vita Spa hot tub app you have complete control of your 700 Series hot tub from anywhere. Control the temperature, change filter cycles to save money or turn on the jets and lights before slipping into the soothing waters. Our thoughtful amenities and superior options provide a level of luxury and pleasure for every sense. This optional Bluetooth Music System is both waterproof and corrosion resistant. Our speakers boast a crisp, clear sound for true music fidelity. State of the art Bluetooth technology puts the music at your fingertips. Enjoy your favorite artists and playlists anytime with this easy to use music system. Simply sync any Bluetooth compatible device, slip in to the soothing waters and enjoy. Our control pad allows you to turn on your spa and control heat and jets, all with a simple touch. It doesn’t stop there; the advanced technology provides you with many key features to enhance the use of your spa. Features such as our reversible display allow you to reverse the orientation of your spa panel for easy readability from the inside or outside of your spa, with a simple touch of your finger. You can even program the exact day and time of filtration and heat. Our control lockout feature ensures that your spa settings stay yours. The 500 Series control panel includes many easy-to-use features including large LCD temperature display, LED back-lighting and programmable filter cycles. 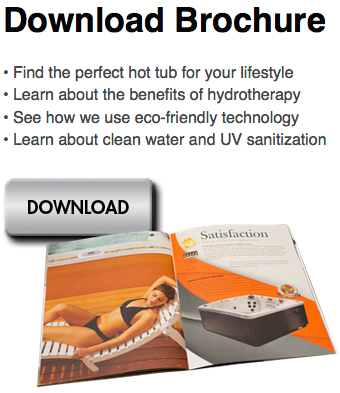 Vita Spa hot tubs utilize industrial duty 56 frame pumps in all of their 240 Volt models. The 56 frame motor is larger, more powerful and delivers higher water flow for better jet performance than the 48 frame motors found in most spas. They also run cooler for longer life and have lower amp draw for lower operating costs.